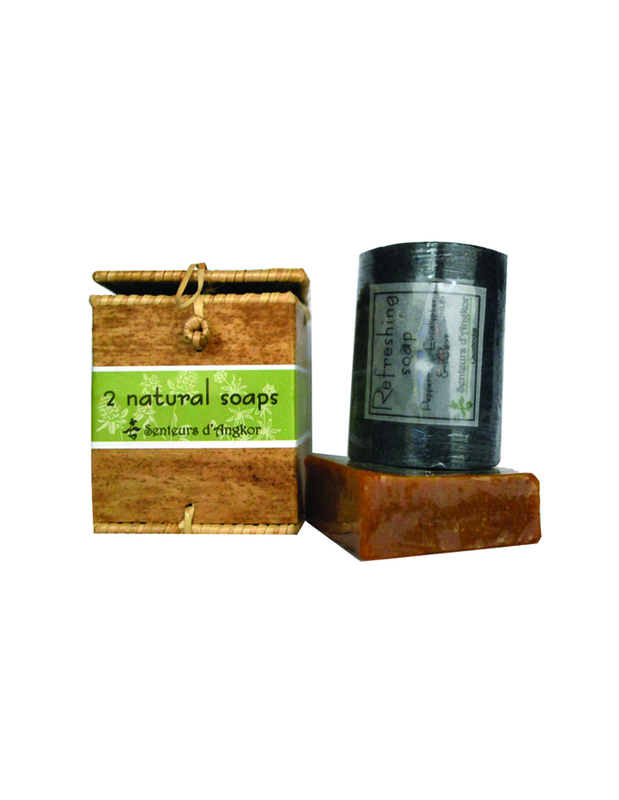 One square & one cylinder natural soaps in a Krebeil Reil box. 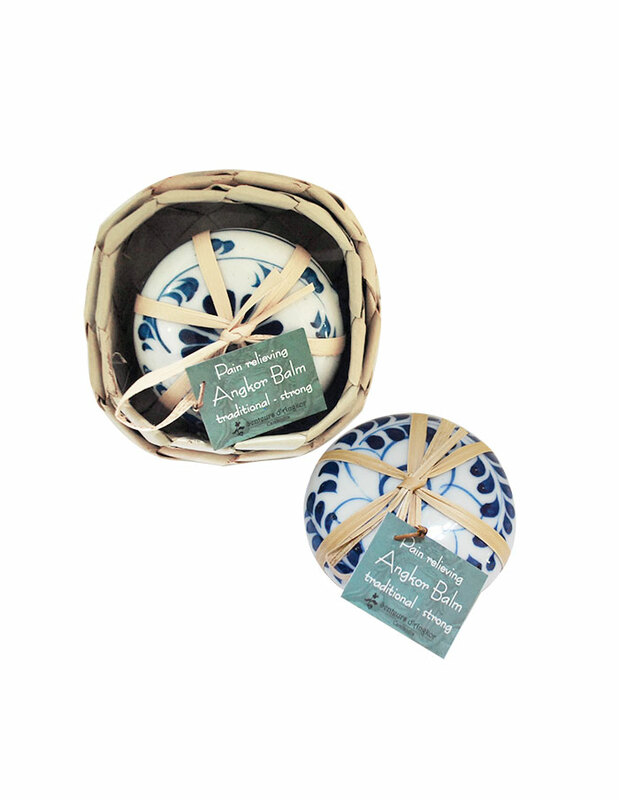 Senteurs d’Angkor bath salt is made from sea salt from Kampot, a city in the south of Cambodia, well-known for the quality of its salt. 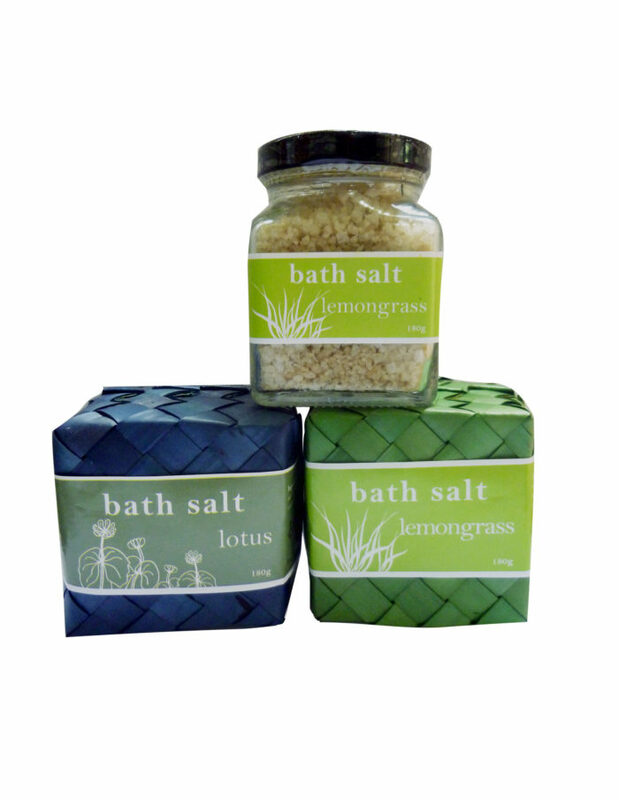 Put one handful of bath salt in your bath and let it dissolve. Your bathtub will become an oasis of calm and a center of healing and restoration for your mind and body. 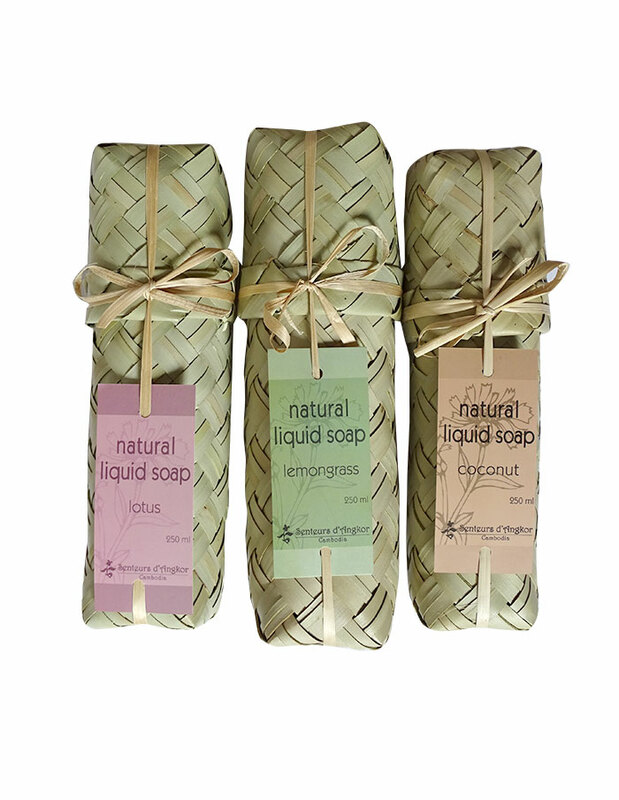 Senteurs d’Angkor liquid soap is formulated with natural ingredients only. 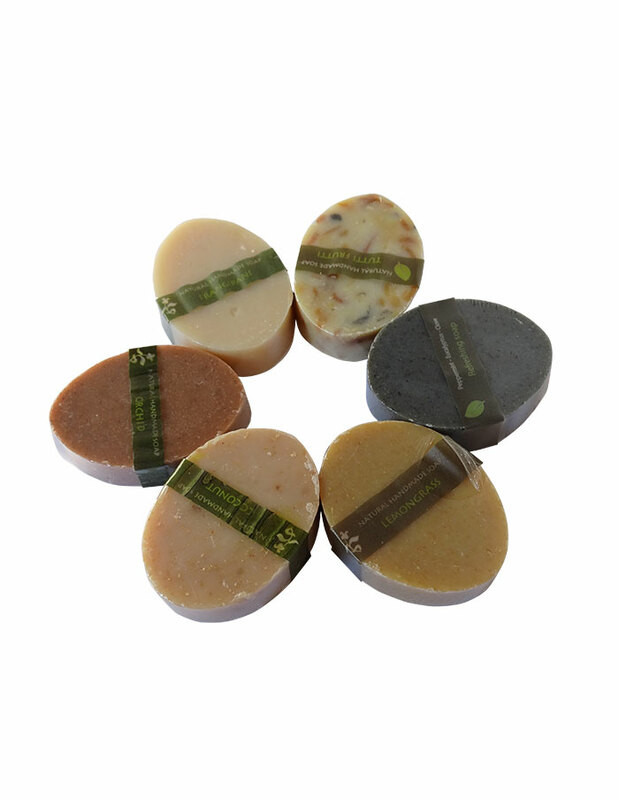 Its entirely made in our workshop following the traditional “paste method” of liquid soap. 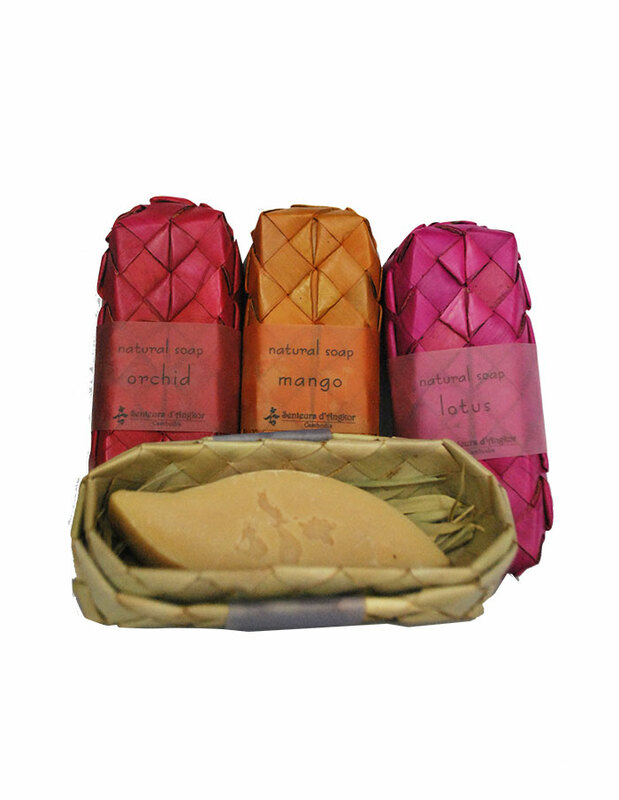 Its softness, its generous foam and aromatic fragrance make this gel very pleasant. 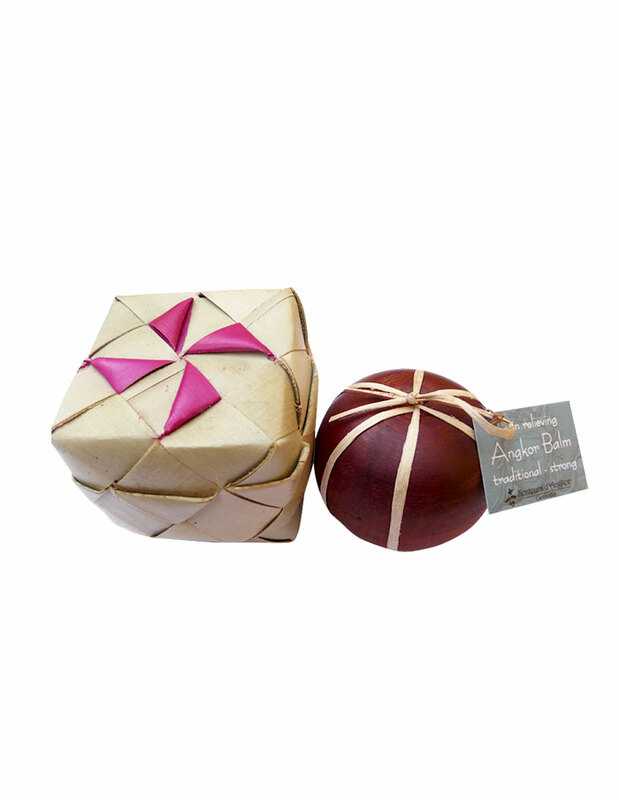 Suitable for all skin type and can be use for body and face. 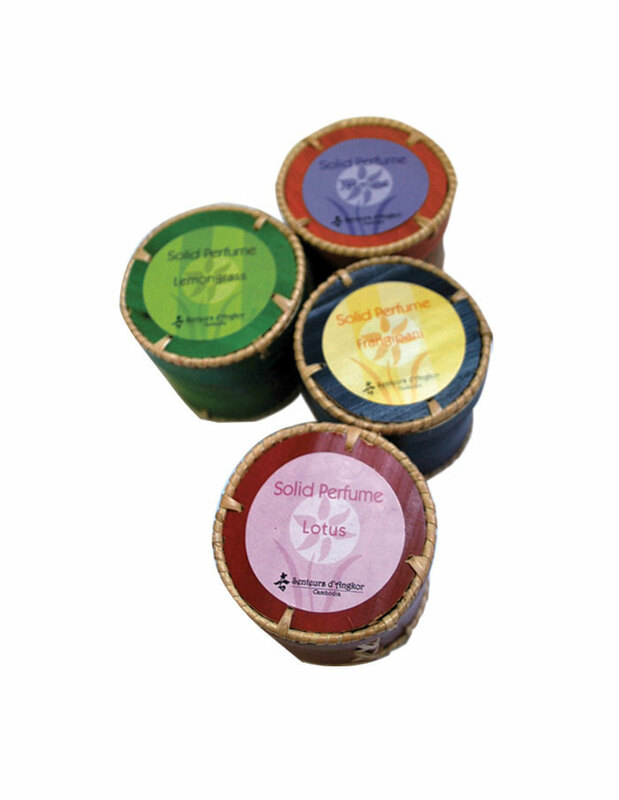 Free of any chemical ingredients, preservative and artificial coloring.